How to improve corporate writing skills - Wylie Communications, Inc.
Do the math: People receive the data equivalent of 174 newspapers, ads included, every single day. Yet they spend just 48 minutes a day reading for work and just 19 minutes a day reading for fun. How much attention is your message getting? 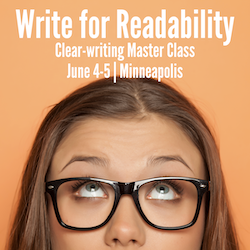 Move readers to act … when you position information in the readers’ best interest. “Prose is architecture,” wrote Ernest Hemingway. “It’s not interior design.” Which structure would make the best foundation for your argument? Is your message short and easy to read? That’s one of the two key questions people ask to determine whether to read your piece — or toss it. 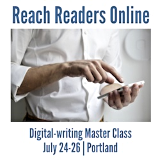 Reach nonreaders with words: Draw readers in, break copy up and communicate to flippers and skimmers with display copy. Tips, tips, tips: Make your writing tops with these lists of tricks.